I. When we claim that the Bible is inspired, we are giving a vague notion that it uplifts a person (though it does) or that it is unique (though it is). C. Thus to say that the Bible is divinely inspired, then we must also expect it to be historically accurate. 2. Yet time and time again, some archaeological find will give credence to the Bible’s statements and, oops, once again the critics were wrong. 3. In this lesson, we are going to examine a few. 1. Genesis 40:9-11 - It is an easy fact to overlook, but the cupbearer’s dream tells us that Egyptians once grew grapes. 2. An ancient Greek historian, in his book “The Persian Wars” stated this about the Egyptians, “Their drink is a wine which they obtain from barley, as they have no vines in their country.” [Herodotus, The Persians Wars, ii, 77]. a. See! The Bible is mistaken! 3. 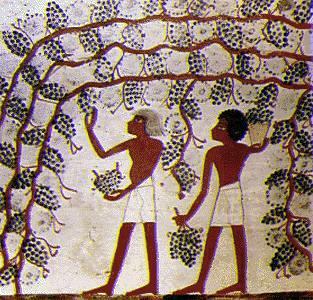 Besides, we have found paintings of Egyptians gathering grapes and making wine. 2. The city of Pithom was found by an archaeologist named Sir Flinders Petrie in 1883. 4. You’ll find people saying, “It was just a coincidence!” But it is an amazing one, isn’t it? 1. 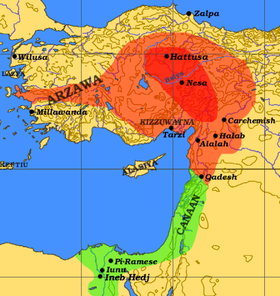 There are about 47 references to the Hittites in the Bible, a nationality. 4. For years, we had no records of such a nation and skeptics cried that it was a made up nation. 5. 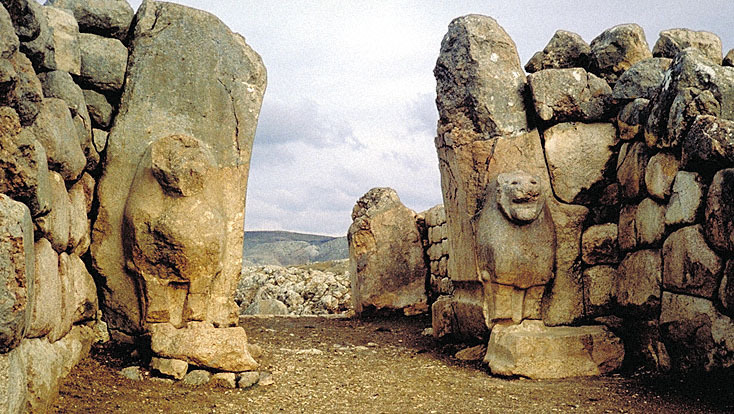 Then in 1872, George Smith studied monuments that turned out to be in the ancient city of Carchemish, capital of the Hatti empire – the nation called Hittite in the Bible. 6. The nation was not only real, but it proved to be one the great empires of the world, rivaling Egypt and Assyria in their days. 2. In 1868 a stone monument was found at the ancient site of Dibon, once the capital of Moab (currently in the country of Jordan). I am Mesha, son of Kemosh[-yatti], the king of Moab, the Dibonite. My father was king over Moab for thirty years, and I became king after my father. And I made this high-place for Kemosh in Qarcho . . . because he has delivered me from all kings, and because he has made me look down on all my enemies. Omri was the king of Israel, and he oppressed Moab for many days, for Kemosh was angry with his land. And his son reigned in his place; and he also said, "I will oppress Moab!" In my days he said so. But I looked down on him and on his house, and Israel has been defeated; it has been defeated forever! And Omri took possession of the whole land of Medeba, and he lived there in his days and half the days of his son: forty years. But Kemosh restored it in my days. And I built Baal Meon, and I built a water reservoir in it. And I built Qiryaten. And the men of Gad lived in the land of Atarot from ancient times; and the king of Israel built Atarot for himself, and I fought against the city and captured it. And I killed all the people of the city as a sacrifice for Kemosh and for Moab. And I brought back the fire-hearth of his uncle from there; and I brought it before the face of Kemosh in Qerioit, and I made the men of Sharon live there, as well as the men of Maharit. And Kemosh said to me, "Go, take Nebo from Israel." And I went in the night and fought against it from the daybreak until midday, and I took it and I killed the whole population: seven thousand male subjects and aliens, and female subjects, aliens, and servant girls. For I had put it to the ban for Ashtar Kemosh. And from there I took the vessels of Yahweh, and I presented them before the face of Kemosh. And the king of Israel had built Yahaz, and he stayed there throughout his campaign against me; and Kemosh drove him away before my face. And I took two hundred men of Moab, all its division, and I led it up to Yahaz. And I have taken it in order to add it to Dibon. I have built Qarcho, the wall of the woods and the wall of the citadel; and I have built its gates; and I have built its towers; and I have built the house of the king; and I have made the double reservoir for the spring in the innermost part of the city. Now the innermost part of the city had no cistern, in Qarcho, and I said to all the people, "Each one of you shall make a cistern in his house." 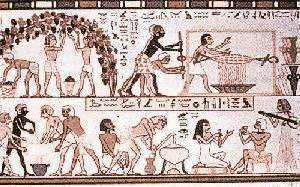 And I cut the moat for Qarcho by using Israelite prisoners. I have built Aroer, and I constructed the military road in Arnon. I have built Beth-Bamot, for it had been destroyed. I have built Bezer, for it lay in ruins. And the men of Dibon stood in battle formation, for all Dibon were in subjection. And I am the king over the hundreds in the towns which I have added to the land. And I have built Beth-Medeba and Beth-Diblaten and Beth-Baal-Meon, and I brought there . . . flocks of the the land. And Hauranen, there lived [in it the house of (D)avid] . . . Kemosh said to me, "Go down, fight against Hauranen!" I went down . . . and Kemosh restored it in my days . . .
e. Near the bottom is a controversial reference to the “house of David”. (2) But there are many people who don’t want David to be proven real. They want the glory days of Israel to be like England’s stories of King Arthur. 4. Not only is there a mention of the House of David, but it also mention another king, Joram, son of Ahab. 2. For a long time, skeptics stated that Luke got the title wrong for the ruler in Cyprus. They contented that he should have been called “propraetor” which was the usual title in the Roman empire. a. Coins found in Cyprus, however, show that governors of Cyprus were called proconsuls. 3. 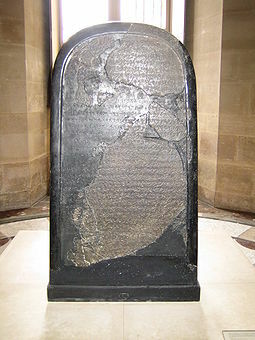 More recently, a stone was found that has the name Sergius Paulus inscribed on it. a. 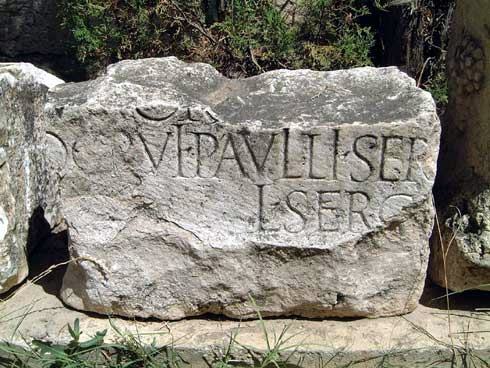 In 1877, an inscription was found in Soli, bearing Sergius Paulus's name and his title of proconsul. b. In 1887, a memorial stone was found in Rome that commemorates that in AD 47 Sergius Paulus was appointed as one of the keepers of the banks and channel of the river Tiber. He held this office when he returned to Rome after his three years as governor of Cyprus. 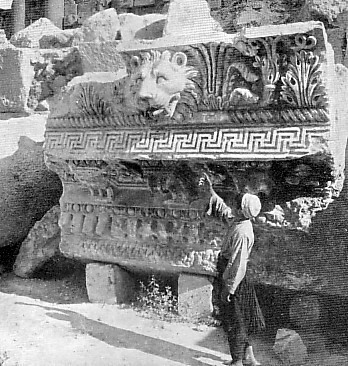 c. In 1912, the name L. Sergius Paulus was found on a stone in Pisidian, Antioch. a. Pliny also mentions that Sergius Paulus was one of his sources in his work on Natural History. III. 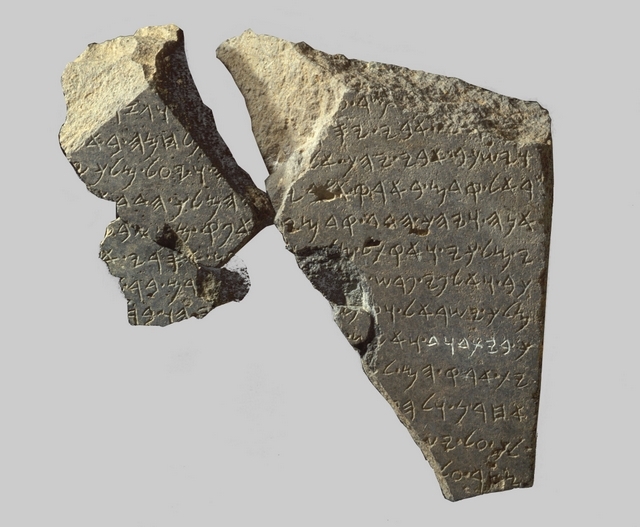 These are only a selection of numerous records where archaeological finds that confirm the accuracy of the Bible. A. What you should consider is that if the historical comments within the text is that accurate, what about the main contents of the Bible? B. The evidence for God’s existence is clear. The question is whether you will believe it.